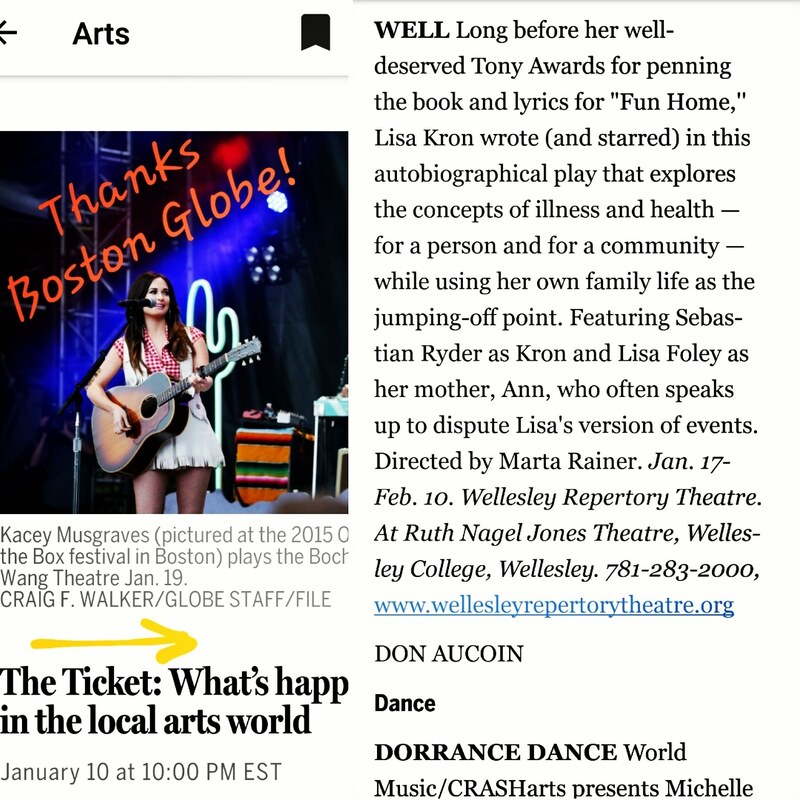 We appreciate Don Aucoin’s recommendation to see WELL in this weekend’s local arts round-up in The Boston Globe. Did you catch it? We love being a part of the Boston theatre community! Our first public performance is Thursday – can’t wait to share this with you. Every Thursday show is Pay What You Will, online and at the door!